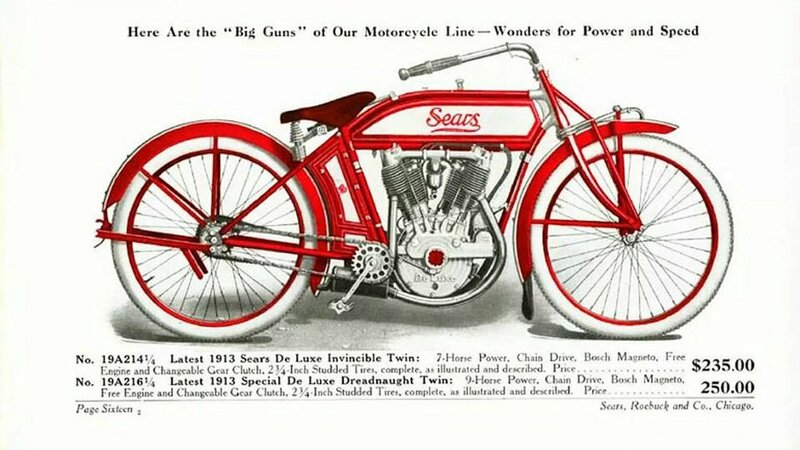 Beginning in 1909, just one year after the Motor Buggy was introduced, the "Sears Auto-Cycle" appeared in the catalog. The 1913 Special De Luxe Dreadnought Twin pictured below was a particularly amazing machine. Sadly, probably due to the overwhelming competition from the likes of Harley-Davidson and Indian, the catalog stopped offering motorcycles soon thereafter. It is thought that only about ten Sears Dreadnoughts remain in existence, and one recently sold for $100,000 at auction. 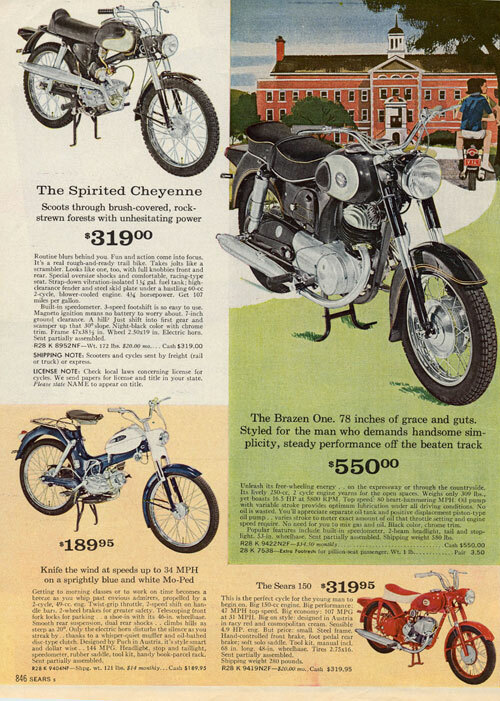 For a 20-year period in the fifties and sixties, Sears again offered mail-order motorcycles — reselling Cushman and Piaggio scooters, and small displacement Gilera and Puch motorcycles. 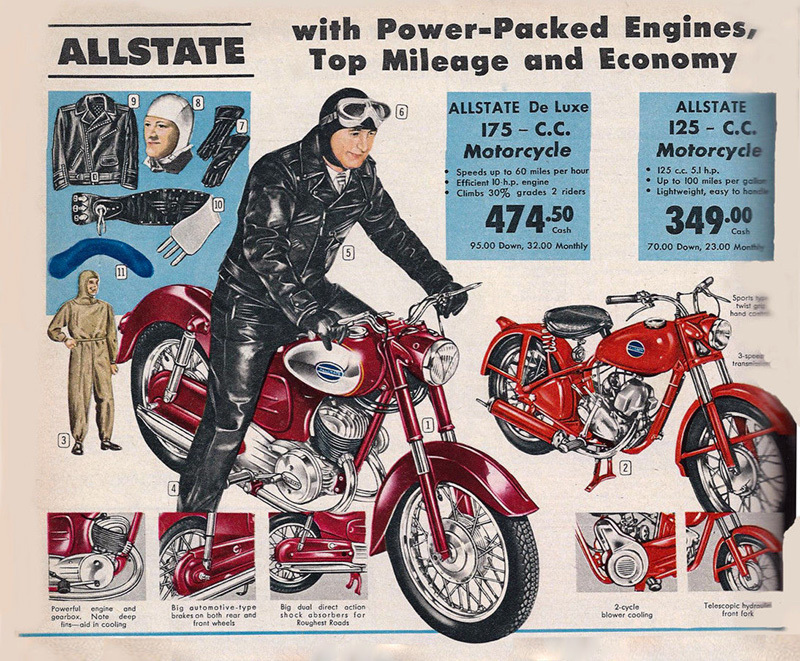 The bikes were generally rebranded under the name Allstate (although some later models were badged as Sears). Attractive and affordable motorbikes delivered to your door. Brilliant. Everything old is new again. So maybe we will soon be able to order a motorcycle on Amazon Prime? Until then, you can pick up an old Sears Allstate on eBay for pretty cheap.